Organization is the key to a healthy, stress free environment. When things are in order, you breathe easier, and feel more in control. There are various techniques a professional organizer can use to help get your space in order. 5S Japanese Organization, or "Kaizen" is praised for its focus on visual order and efficient use of a space. This concept was originally designed for workstations at one of Toyota's first manufacturing plants. However, these same principles can be incorporated into any space to bring about cleanliness, quality and order. What is 5S Japanese Organization? 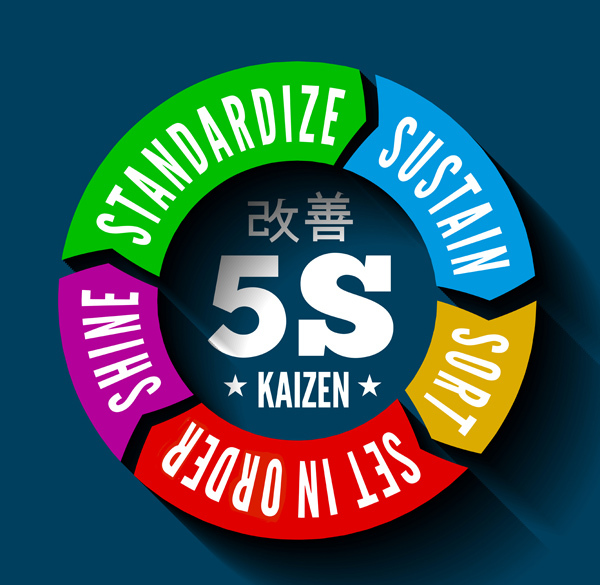 The 5S's in Japanese organization stand for the Japanese principles of good housekeeping: sort, set in order, shine, standardize and sustain. Incorporating these five principles into your space will help create an environment that is well organized, efficient, safe and visually appealing for everyone. Sort - When in doubt, eliminate. Over time, your space can become cluttered with things you don't even use. The 5S principle of sorting involves eliminating all things from your space that do not add function, leaving only the essentials. 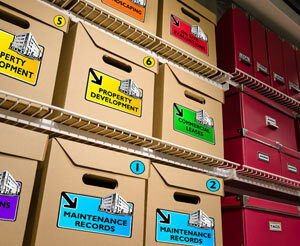 Set in Order - Clutter can make it hard to find things when you need it, which can lead to wasted time and frustration. Arranging often-used items so they are easily accessible will create a space that is stress- free and far more functional. 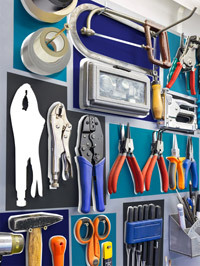 Your garage presents tremendous opportunities, once it is organized by a professional. For instance, it could be anything from a multi-functional workshop, to a fitness room, to a place to store your precious automobile - but not if it's a space where everyone has become accustomed to storing their unused or out dated items, resulting in a cluttered garage. When this happens, it can make it hard to find things, yet alone see the potential that your garage space has to offer. Your basement, like the garage, can become a convenient place for stashing unused items, turning your basement into that creepy space that no one likes to go into. Why waste precious space on clutter, when it can be used as a much-needed family room, or play room instead? Whether you have a finished or unfinished basement, professional basement organizers can help you realize the true potential of your space. Just think of the irreplaceable items and keepsakes stored in your basement that can be lost forever or damaged by water, mildew or other elements because they weren't stored away properly. Professional basement organizers will clear your basement of unnecessary items, and incorporate a variety of shelving and drawer systems to help store and protect your precious items. They will then create a design that suits your needs, transforming your basement into the space of your dreams. With everyone using the home office for take home work, schoolwork or a place to create budget lists and pay bills, it can become riddled with unorganized papers, office supplies and books, quickly becoming a haven for disorder rather than a place to do business. Chaos Commandos can redesign your office space, sorting through and removing anything that doesn't belong, so that only the things that are needed remain. Professional home office organizers can utilize existing closet space to store office supplies, organize your desk, and create traditional and digital filing systems for storing important documents and more, creating an inviting, stress-free space for you to work. There is appeal in physical order, and we would like to help bring that beauty to your existing space. Whether for your home or business, we will take our time to get the know you and what your needs are for your space, then offer customizable solutions to get the job done. Our goal is to help simplify your life and create functional, stress-free spaces that you can enjoy for years! 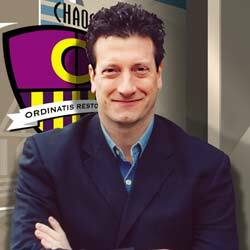 Chaos Commandos is one of the top organizers in the tri-state area, for garage organizing, home organizing, basement organizing, office organizing, estate liquidation and more. 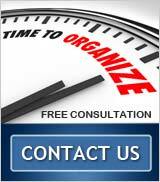 If you would like help simplifying your life, please contact us today for a free consultation. A professional garage organizer can sort through the clutter in your garage, so that all that remains is in service of what your garage is designed to do. 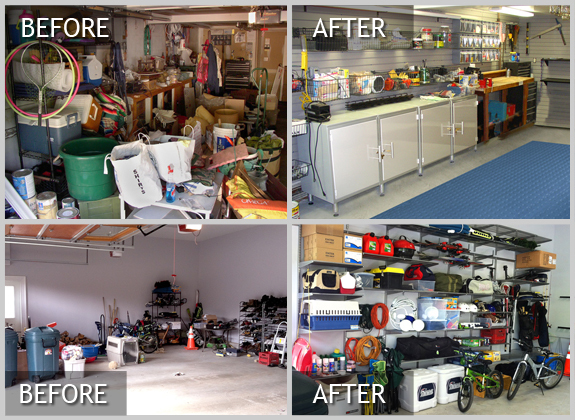 Once unused items are cleared, you will be amazed at how functional and visually appealing your garage has become, creating new opportunities for you to enjoy your home. A professional organizer can organize your garage into one huge functional space, create different zones for multitasking, or even a space with designated areas for each family member. 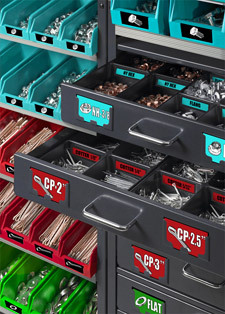 Our professional garage organizers use durable shelving for storing bulky items, then label everything so they are set in order and easy to store away, helping ensure your garage stays tidy and well organized for years to come. Shine - The key here is to keep everything in quality condition, so that when other people need to use the space and equipment, they are in tip top condition and ready to go. Once you've employed an organizer's expertise in redesigning, and sweeping and cleaning of all work areas and surfaces, it's important they be maintained as well. Having a clear space allows you to visually evaluate the surroundings, including the equipment and conditions, so the space is easily maintained in the future. Standardize - Set a standard for the look and use of your space. To determine a standard, discuss with others what is necessary and preferred for the area's functionality to ensure everyone is on the same page. Sustain - Once your organizer has systemized your space, it is important to implement a plan to ensure it remains that way. Train all members in the process and the importance of organization, so that it is a group effort that everyone will embrace. These 5S principles can be used in a number of different household scenarios as well, to help maximize your space, including garage organizing, basement organizing, home office organizing and more.